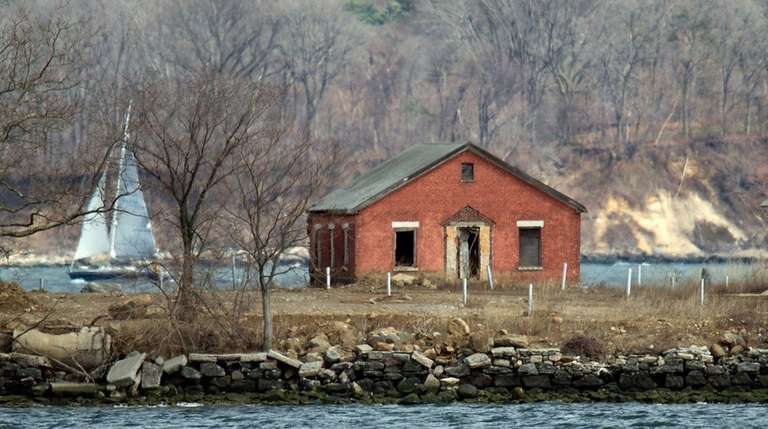 A push to open Hart Island — the resting place of a million souls — as a city park is underway, with elected officials, historians, veterans and families whose loved ones are buried on the island supporting the idea Wednesday at a public hearing. Dozens at the City Council hearing favored transferring operation of the island off the northeast Bronx from the Department of Correction to the city’s parks department. But the parks department said it doesn’t want it and the correction department said it should stay in charge. “This is a solemn responsibility,” a statement from the department said. Nearby City Island residents favored a parks department takeover but worried that an influx of visitors would cause traffic congestion on their streets leading to the only boat launch to Hart Island. The island should be run in a way reverent to the deceased, said Barbara Dolensek, a City Island resident and historian. About 1,500 indigents, stillborn babies and homeless veterans are buried there annually. Council member Mark Levine (D-Manhattan) said he does not envision the park becoming a major tourist magnet, but it should be open. “We have parks for New Yorkers who want to connect with nature. The island has incredible views with century-old history,” Levine said. Hart Island is a desolate spit of land on Long Island Sound, with decaying, abandoned buildings. Families allowed to visit complained that under the correction department’s control, the 100-acre potter’s field is operated like a prison. Chris Dunn, associate legal director at the New York Civil Liberties Union, which successfully sued the city to start monthly visitations for families last year, said they are forbidden to carry electronic devices because they could be hidden for inmates who dig the graves. “That’s crazy,’’ said Dunn. “The city needs another agency to run the island,’’ said Council member Brad Lander (D-Brooklyn), who said using inmates to dig graves was a “ghoulish” throwback to a 19th century prison practice. Taking over the island “would cost millions’’ said Matthew Drury, director of government relations at the parks department. He said to accommodate public visits, the island would need additional ferry launches and landscape renovations with more plantings and maintenance. Conditions on the island continue to worsen, said Melinda Hunt, executive director of the Hart Island Project, a charitable group. She said that after Superstorm Sandy, bones and skulls from the island’s grave sites were washing up on City Island and nearby Orchard Beach. The historical value of the island is another reason to turn the island into a park, proponents of the idea said. The island was a Civil War prison camp where soldiers died. It was also the site for a psychiatric hospital, a tuberculosis sanatorium and a Cold War missile defense site. Herbert Sweat, 67, of Brooklyn said: “This is a Civil War cemetery where my forefathers are buried.’’ He said the island should be open on Veterans Day for a wreath-laying ceremony next to a Civil War memorial.